In the latest episode of the Salt Lake Chamber podcast “CEO Success Stories,” Derek Miller, president and CEO of the Salt Lake Chamber and Downtown Alliance, sits down with the CEO of Ski Utah, Nathan Rafferty, to hear about his leadership philosophy, best practices, the 2018-2019 ski season and more. 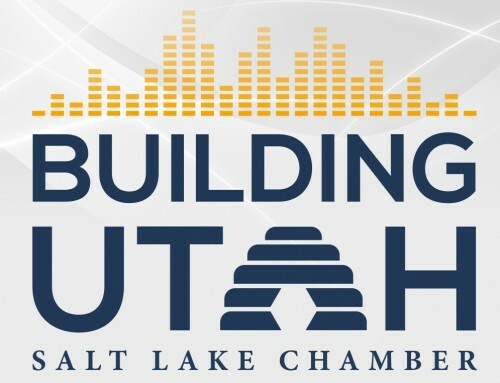 If you have ideas or thoughts about whom we should interview next for the podcast, send us an email at info@slchamber.com or a message us on social media to our handle: @saltlakechamber. Rafferty was named president and CEO of Ski Utah in October 2005. Before changing roles within the organization, he served as Ski Utah’s director of communications for seven years among other roles, and has additional experience at Park City Mountain Resort. A Utah native and Park City resident, Rafferty has worked in various capacities in Utah’s ski industry, starting as an intern with Ski Utah the summer he graduated from the University of Arizona in 1994. In 2007, and again in 2012, he was named one of Utah’s “100 Most Influential People” by Utah Business Magazine. He was also on their “40 Under 40” list in 2008 and, most recently, received the magazine’s highest accolade – CEO of the Year, for 2018.